Sleep and rest are essential for the proper functioning of our body. Everyone, at some point throughout life, has had trouble in sleep, can make us more vulnerable to developing certain problems of physical and mental health, including cardiovascular disorders. Poor sleep has its first consequences to rise, as will notice increased fatigue and greater difficulty to perform everyday tasks. The difficulties of attention and concentration, increased irritability are some of the psychological consequences of poor sleep. Early diagnosis also plays in this chapter of health an important role, so it should not delay. Why sleep is so important? Rest is essential to our physical and mental health role. Sleep is restorative to our body, as well as intervenes in essential metabolic processes and ensures the capacity of concentration, self-control and memory throughout the day. 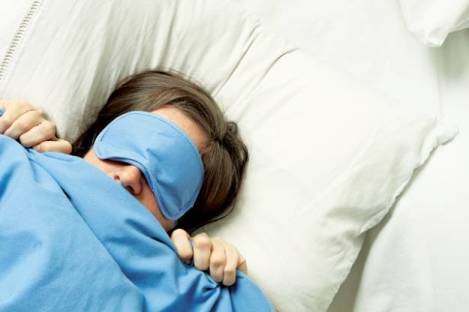 Poor sleep makes us more vulnerable, and it have found different studies, to suffer psychiatric problems and a greater increase in the risk of cardiovascular diseases such as stroke or ischemic heart disease. One of the most common sleep disorders is sleep apnea, characterized by disruption and hold the breath. It is estimated to affect about 4% of men and 2 percent of women, affecting both adults and children and adolescents. The apnea not only interrupts and disrupts sleep, but generates fatigue, daytime sleepiness and can trigger other processes such as increased blood pressure. Problems in sleep or sleep disorders also affect younger. In fact, the diagnosis in the pediatric population helps to prevent other problems such as alterations in the deficit of care, incorrect neuropsychological development or more prone to obesity problems. Sleep is a habit that we cherish and protect. Hence the importance, not only enough sleep, but to do it with quality. If we notice that the rest isn’t restful, we must consult the doctor to diagnose the cause and tackle problems, which sometimes requires a simple treatment.